The only thing on my Amazon wish list is a 100% top marginal tax rate for Bezos and every other billionaire. 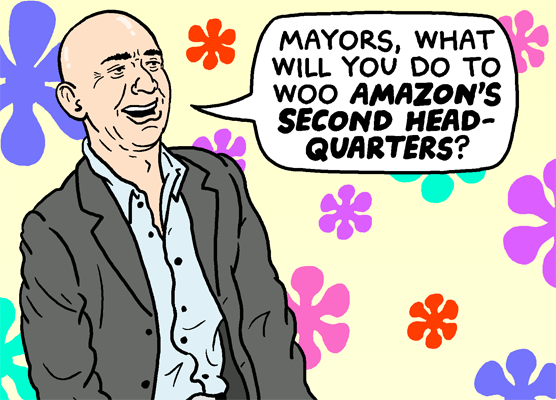 Mayors and governors are debasing themselves and their constituents for the chance to woo Amazon’s second headquarters. Here in Boston, we already did this with GE, a failed Olympic bid, and an indy car race that no one but our Mayor wanted. Thankfully our local sports teams have fully privately funded stadiums, so we didn’t have to endure that nightmare common to other municipalities. If you live in Boston, please vote Tito Jackson for mayor so we can stop embarrassing ourselves. If you enjoy my work and can afford to, please consider supporting it on Patreon. 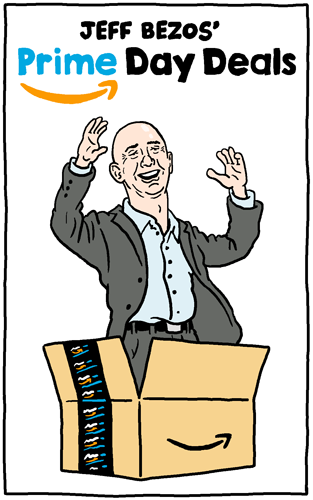 Jeff Bezos is buying Whole Foods and now Amazon’s one step closer to becoming the kind of monopolistic mega-corporation previously only seen in the Robocop franchise. 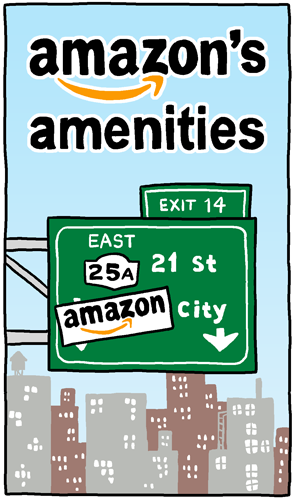 The days of antitrust laws are long gone, but maybe one day there will be the political will to break up Bezos’ empire like Ma Bell and Standard Oil.